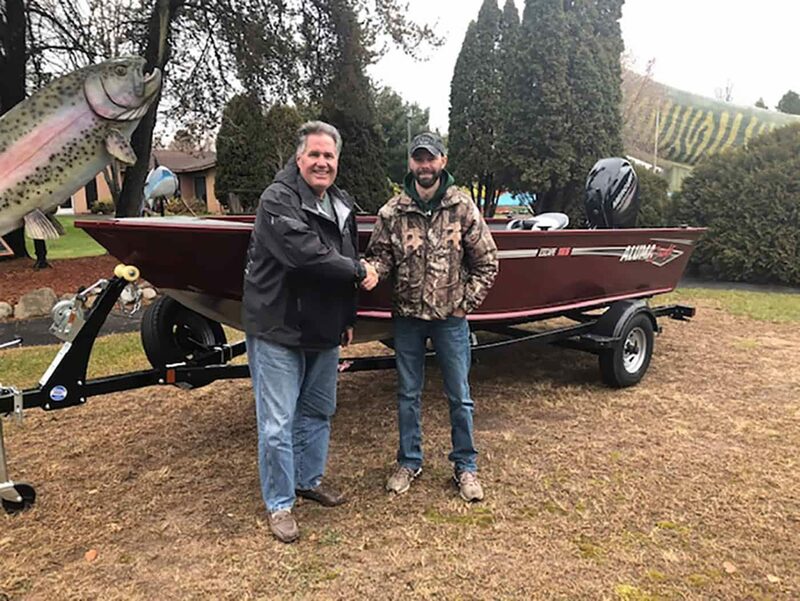 Josh Blackburn (right) of Wausau, WI was the lucky winner of our 2018 Mega Boat Raffle. On hand to “turnover the keys” to the boat was Hall executive director Emmett Brown. Congratulations Josh! Thank you to all who participated and a special thank you to AlumaCraft, Mercury Marine, John’s Motor Sports of Hayward and Advance Printing of Hayward.